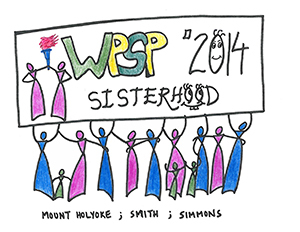 The WPSP Institute delegates were drawn from a pool of more than 600 applicants. These women leaders hold a wide range of professional positions, including roles in education, media, government, NGOs and humanitarian programs. For Delegates: Please click here for access to the delegate-only website. To learn more about the delegates, click on each name. Might, that momentarily couldn’t do much. Why predict a dark future? Why make her feel its almost like she died! Why charge the wounded, why hide a crime? Shall I be forced for life to cry? Rise, shine, a war is waiting to be won. Have faith in the slowly rising sun. June 2 at Smith College.